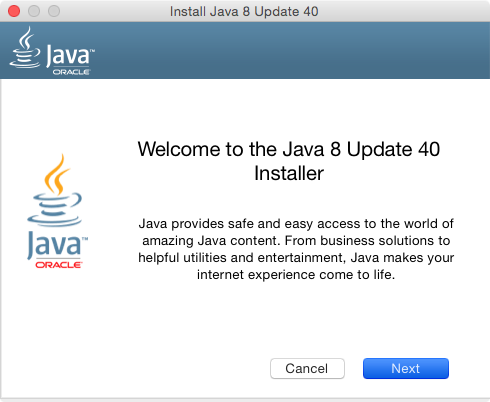 For the past few major releases, Oracle has used a standard installer package to install Java 7 and Java 8. 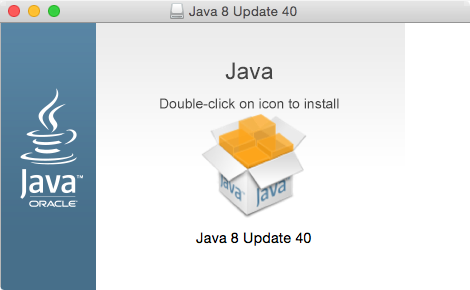 With the release of Java 8 Update 40 though, Oracle changed how Java 8 for Macs is installed. 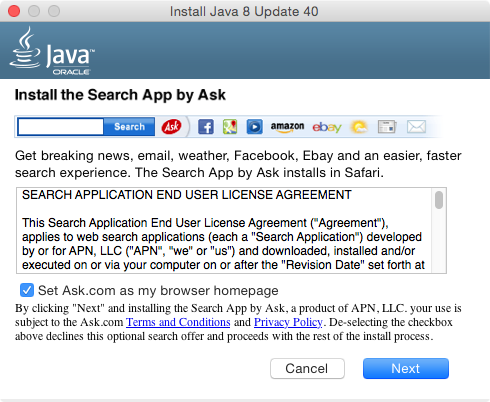 Oracle has now switched to using an application to install Java. 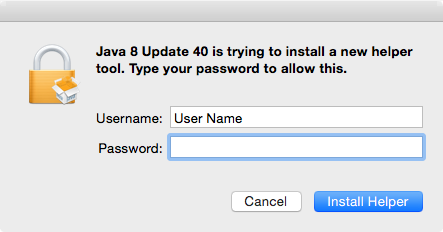 This switch away from using installer packages is a problem for Mac admins who need to deploy Oracle’s Java 8 in their own environment. 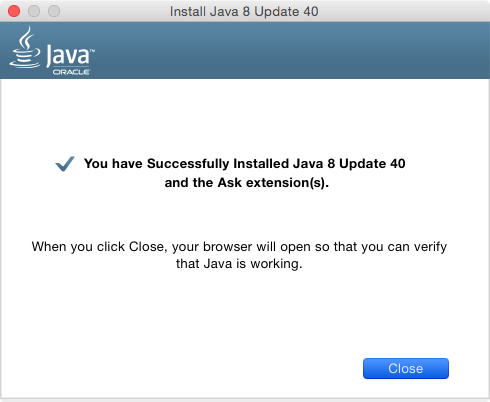 However, after doing some research, it looks like it is still possible to deploy Oracle’s Java 8 Update 40 using a standard installer package. For more details, see below the jump. Once the JavaAppletPlugin installer package is copied out of the install application, it can be deployed like previous Java updates’ installer packages. The install application will prompt for admin privileges before fully launching. 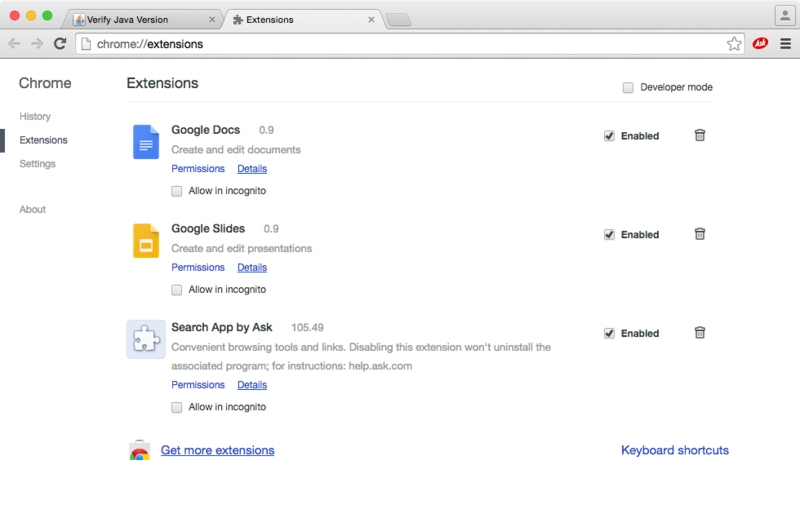 Once you provide admin authentication, the application launches. 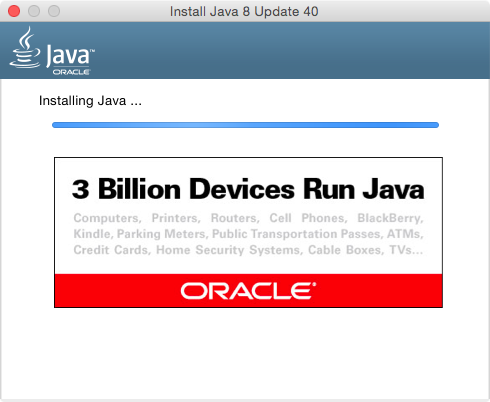 The install application will then tell you how many devices run Java while it installs. Once complete, it’ll tell you what it’s installed. If you didn’t change the option of setting Ask.com as your browser homepage, it’ll then ask you to install the Ask.com toolbar as a Safari extension. 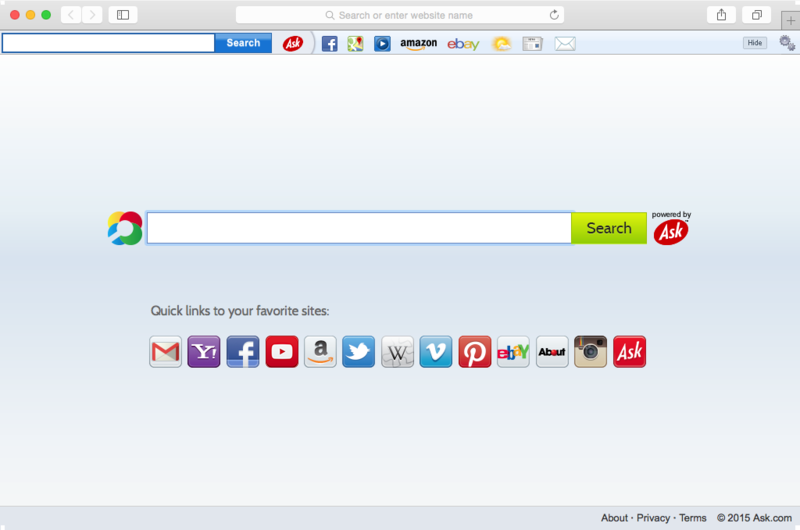 If you then choose to install the Ask.com toolbar, Safari will look like this. It also doesn’t appear that Safari is unique in this regard, as the installer will check for the default browser. 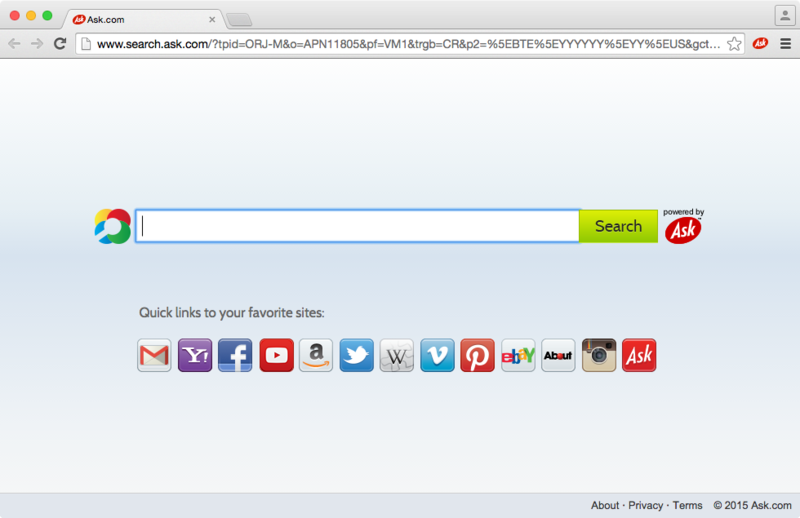 If Firefox is your default browser, Firefox’s homepage will be set with a search.ask.com URL and the user is prompted to install a Firefox extension. If Google Chrome is set as your default browser, Chrome’s homepage will be set with a search.ask.com URL and the user is prompted to install a Chrome extension. 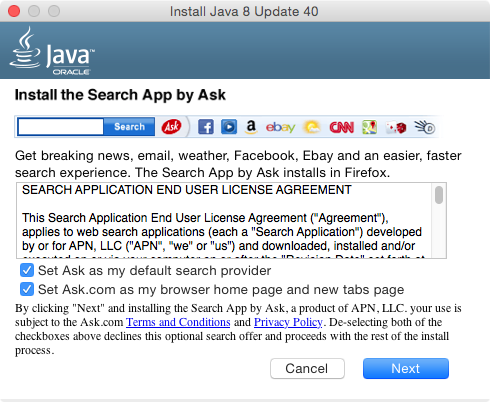 Circling back to the JavaAppletPlugin installer package mentioned earlier in the article, it appears that this installer does not install any toolbars or reset the homepage setting for the default browser. 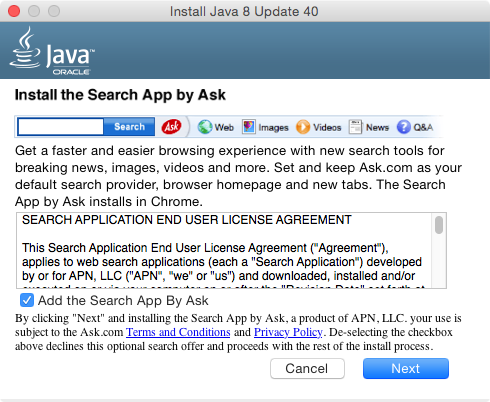 To avoid having to deal with Ask.com-driven annoyances, I recommend using the JavaAppletPlugin installer package whenever possible. I install the Original Java 8 installer on VM and again with the JavaAppletPlugin.pkg installer but both no request for the ask toolbar. 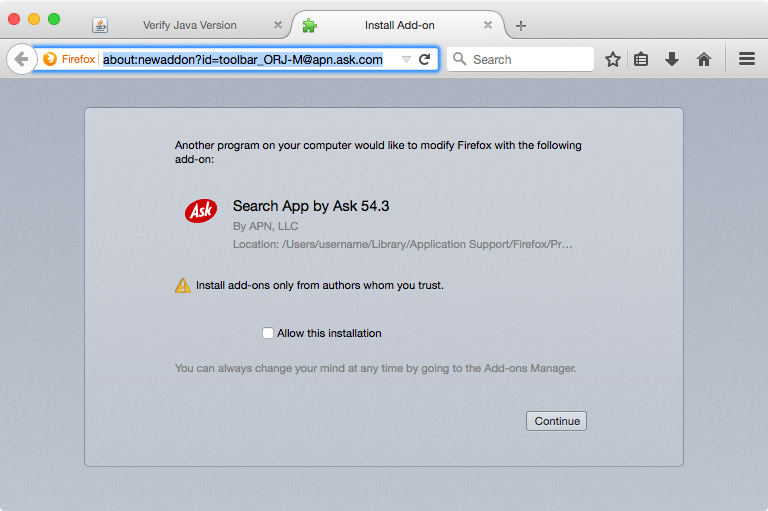 I didn’t get the ask toolbar, so either Oracle has changed the installer-app, or there are different versions out there. Downloaded from http://java.com/en/download/manual.jsp at home (Oslo), and ran the app. Inside the app is the pkg as you mention, which I probably will use to deploy at work. 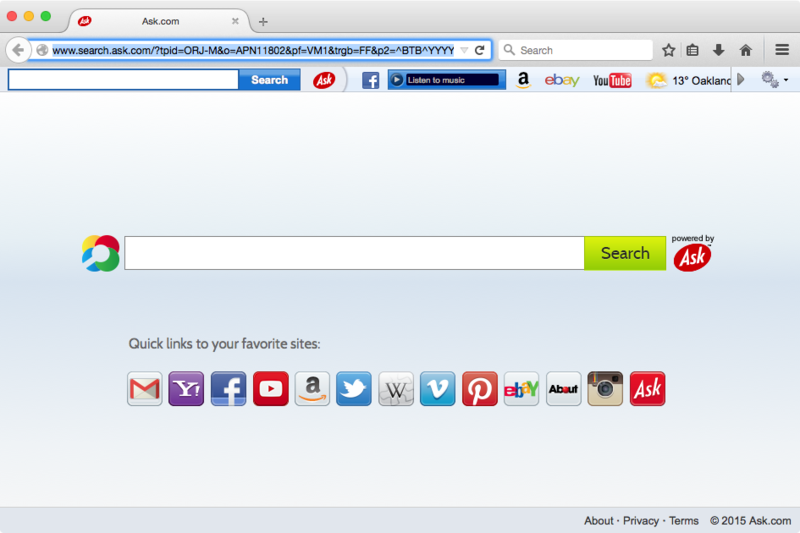 Oh thats why, they just want to trick you into installing the Ask toolbar junk! Here all start complaining!!! http://bugreport.java.com/bugreport/main.jsp At the bottom under “Report an Issue” from the drop down select “Comments and/or Suggestions” and write away! If thats not enough for you send the CEO’s an email as well!! mark.hurd@oracle.com and safra.catz@oracle.com they seem to hold a joint CEO positions. I had dug into the package contents, saw the .pkg and wondered if that would work. Stumbled across this article, tried it, and it worked. So stoked right now. Saved my whole company a ton of hassle.Thank you! One question Rich…does installing the JavaAppletPlugin.pkg really install all of the components of the JRE (minus the adware stuff)??? I keep getting flashing notes in my task bar urging me to update Java (to Java 8 Update 40), and I jump through all the hoops, including clicking “install,” but I get the same response every time: a message stating that the update can’t be installed. Fine and dandy. Then Oracle should stop pestering me with update notices or tell me why the install procedure isn’t working!